24 Hour Comics Day Perth is back for 2018! 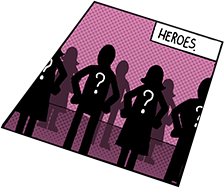 Over the upcoming Queen’s Birthday weekend (September 22-23) challengers will be attempting to do a 24 page comic in 24 hours (or multiple short stories to add up to 24 pages). This year we’ve also introduced an under 18 category, with an 8 hour/ 8 page challenges for those 15-17 and a 4 hour/4 page challenge for those 11-14! 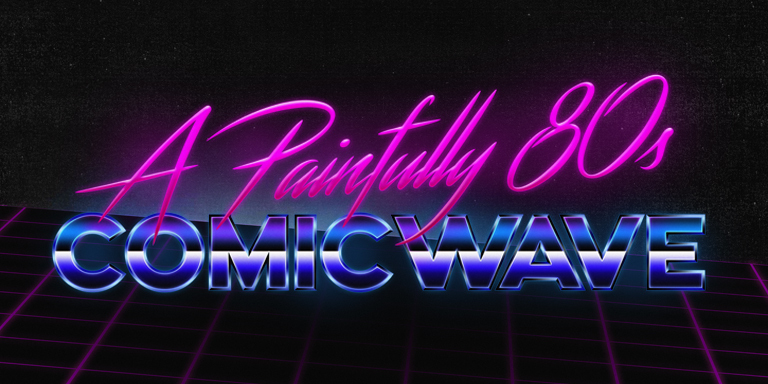 The theme challengers will be working from this year is A Painfully 80s Comicwave, where all the prompts will be based on 1980s pop culture! We’re back for 2017! This year (I guess every year to be honest) we’re going for the them PROMPTED. 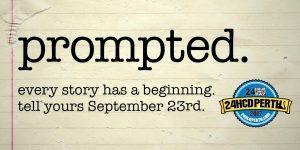 On the day we’ll give you a prompt that’ll start your creative engines. We are back again with another shorter more intense challenge. On the 30th of April 2016 we’ll be putting on an 8 hour challenge for a shorter, but arguably more intense experience. As always it’s free to attend and all skill levels are welcome! We’re back at the Hub on UWA’s Nedlands campus. Click the widget below to sign up to take part in this event! Here are our challengers for 2015! Wish them luck and check out their portfolios. We’ve got just 12 hours until 24 Hour Comic Day 2015. Now is a good time to go to bed if you’re doing the full 24 hour challenge you’ll need all the sleep you can get! That’s right, the challenge is on again! October 3-4 at the ALVA Hub at UWA Nedlands Campus. A new, spacious studio space that allow an even higher number of participants to take part. The theme for this year is to create stories based on the titles of in-the-public-domain 20th century sci-fi stories. Will you have to work with the inspiration of The Gun, or maybe The Colours of Space? This year we’re also introducing limited spaces for those interested in testing the waters with an 8 hour/8 pages challenge. We’re also going to look into the prospect of having a crowd-funded compendium of curated works, voted on by the participants after the event! 24 Hour Comic Day Perth – 24 Hours Completed! We’ll finally after a website crushing influx of attention, we’ve reached the end of road. Now that we’re finally recovered, it’s time to wrap up! After a long 24 Hours we’ve finally reached the end! With a fantastic turnout of 31 challengers taking part at the ALVA Tower at UWA Nedlands and 6 Challengers online this was our biggest year yet. We’d like to thank the University of Western Australia Architecture, Landscape and Visual Design school for hosting our event this year. Join us again soon for another comic challenge! 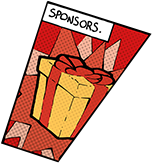 Jump over to our 24HCDPerth Facebook page for completed comics and @24HCDPerth Twitter for updates from the event! 24 Hour Comic Day – 6 hours to go! Well only the most committed challengers are left now, with just six hours until pencils down. We’ve seen some fantastic work this weekend with several completed comics. You can check out some of the completed works on Facebook or Twitter, and most likely more will appear during the day as people wake up and and upload their work. We’ll continue through until Saturday 5th October 10:30am when 24 Hour Comic Perth 2014 will be officially over for another year. The finish line is in sight now, keep at it brave challengers! We’re officially at the half way mark now and our challengers have been working steadily for 12 hours. As we’re approaching the business end of the event, the room has become quiet with just the scratch of pens, and shuffling of paper filling the room. Some of our participants have now spread to the lower levels of the building and have taken up a spot in the boardroom. We’ve already had one completed comic handed in and a couple of participants head home to complete their comics there. 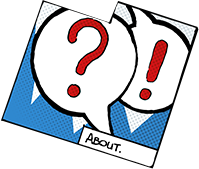 If you’re taking a short break from your comic why don’t you check out some of our online participants who have been prodigiously posting over on our @24HCDPerth twitter page. Feel free to post your work using our #24HCDPerth hashtag and we’ll share it with the world! We’ve reached the 6 hour mark of this year’s 24 Hour Comic Day Challenge. Comics are starting to come together, so check out our photo slideshow here! Keep posting your work online and make sure you keep hyrdated and fed. It’s a good idea to get up an and walk around every now and then, to get the blood flowing and to keep your brain from fading away towards the end of the challenge. Post by 24 Hour Comic Day Perth.